It is not what you look at that matters, it is what you see..
Up until the early 1970s, categorizing beer was simple. At the top were imports, with the highest PTC. By far the leading brand was Heineken. As in most categories, the different imports were priced approximately the same. Slightly lower were super premiums, dominated by Michelob. In fact, in many markets, it was only Michelob in this segment. Then came the biggest category: national premiums. In this category were the “big” boys: Budweiser, Schlitz, Coors, and in many markets, Pabst, Falstaff, and Miller. Of the last three pricing could vary slightly. Trailing the end were the regionals lead by Old Milwaukee and Busch (where available), followed by local beers including Lone Star, Pearl, Jax, Hamm’s, Rainer, Olympia, and Henry’s, Schaefer, Narragansett, and many others. Each category had its own pricing structure. There was no variance within these pricing structures. It was simply based on price and one immediately knew where and what position the beer would be viewed by the consumer and retailer. When Miller Lite was introduced by Miller, it was priced slightly higher than the national premiums. Miller had created a whole new category and pricing structure. As the light volume grew along with new brands from AB and Coors, the breweries decided to line- price their lights with their regular beers. This made sense, however, by now pricing across categories began to blur. First, more imports began to land in the US and then breweries introduced “price beers” to run production at, or close to capacity. Regionals began to move their pricing closer to AB and Coors, which soon sealed their fate as the consumer began to shift more and more from regionals to nationals. Craft beers, starting with Boston Beer, began to rearrange the categories and the pricing structures within each segment. Breweries, which had in the past, priced beer based on their knowledge of the price point, began to apply their strategies around margin requirements of their wholesalers and national chains including Walmart. Instead of pricing from the “ground up”, it was now “top down” pricing based by market. Pricing analysts or business analysts were in high demand, and remain so today. Pricing categories began to have levels within the category. As an example, German imports within that segment began to have three levels of pricing: first, an upper end, followed by middle end, and finally the lower end. Again working pricing backwards, importers could position their beer to best fit their strategy. With the massive growth and influx of crafts, pricing ranges from around premium to some bottles approaching high end wine and spirits. To position any beer now is more along the price point base on marketing strategy than by category. The Brewers Association and its members, however, continue to want to define, or in this case redefine, the definition of craft brewer. Now based on annual volume, a craft brewer must be less than six million bbls. No one in the industry expects that beer segments or categories are going to merge into just one definition, but perhaps the consumer does not care what the beer might be. It is not what you look at that matters, it is what you see! During the summers of 1969 and 1970, AB brewery workers decided to go on strike. The AB distributor in Dallas, Ben E. Keith, ran out of beer, and the Coors wholesaler, Willowbrook, was forced to allocate Coors to the retail trade. The AB strike was nationwide, however, at the time; Coors was only in 10 states and half of Texas. The retailer received 10% of what Coors had sold the previous summer. The market was out of Budweiser and had 90% less Coors. SH Lynch, the Schlitz wholesaler, along with the brewery, located in Longview, Texas, took advantage of the strike by flooding the market with Schlitz. Prior to the strike, the number one selling beer in Texas was Pearl. After the strike, it was Schlitz, and remained that way throughout the 1970s into the early 1980s. Lynch had been a longtime distributor and his grandson had spent summers delivering beer off beer trucks. The distributorship was soon one of the largest in the US and became the number one market for Schlitz Malt Liquor. Shortly after the strikes ended, the market returned to normal and Lynch’s grandson, who had graduated from college, left for New York to pursue a career in the advertising industry. He enjoyed his work at major advertising agencies in NYC during the 1970s, however, the family distributorship had come on hard times and the grandson was called home to oversee the operation. The self-destruction of Schlitz resulted in the sale of the company to Stroh. Within a couple of years, SH Lynch was sold to Willowbrook as the grandson had lost all faith in the ownership of Stroh to be a viable and major supplier. It was sold while the company still had some value. Many other Schlitz houses did the same. Forbes, the business magazine, recently (July 21), chronicled the story of the demise of Peter Stroh’s company, Stroh Brewing Co. in an article entitled, “How To Blow $9 Billion: The Fallen Stroh Family.” The number “$9 billion” is based on the company’s worth today according to the S&P 500. The fortune today is gone. 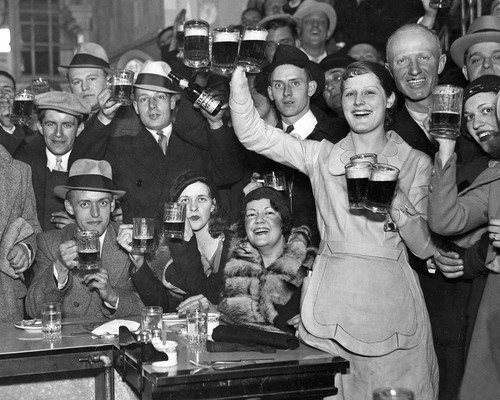 Stroh had bought not only Schlitz, but first Schaefer, and later, G. Heileman Brewing Co. This drove the company hundreds of millions into debt which could not be serviced by declining brands. Stroh finally gave up, and sold to Pabst and Miller. While the article addresses in detail the death of the brewery, it does not tell the story of the millions lost by Stroh/Schlitz wholesalers or hundreds of jobs lost and the negative impact on the lives of employees. The brands that SH Lynch had purchased by Willowbrook also died, however, Lynch did have some great imports including Femsa and Heineken. Even Willowbrook sold out to Andrews some years later. The money made through the sale of Lynch was used to buy into the clothing industry. In his new operation, the grandson erected pictures of the beer operation down the hallways. Some memories never die. This post begins the third year of BeerBusinessUnplugged, and as promised, I would like to comment on what has taken place over the past year, the second year of this blog. In the last 12 months, the weekly subscribers have tripled and readership has more than quadrupled. I have truly enjoyed publishing and hearing back from each of you, including both the positive and negative comments. I am also getting many more suggestions for future topics and these are greatly appreciated. By far the one post that was read the most of any others in the past two years, and the one I also received the most comments on (all positive) was I Remember, the story and video of the history of Schlitz Brewing Co. The video was a production of Milwaukee Public TV and ran for 26 minutes. As has been true in the past, the one topic that drew the most comments, both positive and negative, were posts dealing with franchise laws and legislation. That should not be surprising to anyone. The December year-end post which honors a retired, well known beer individual is always my favorite. Last year was no exception; it also drew a large number of positive comments on George Henricksen, 2013’s honoree. I am frequently asked how large crafts will grow in the U.S. Obviously we do not know that answer, however, my standard reply is to focus on Oregon as a template. With over 50% share of market, and highly segmented, Oregon represents the ceiling of what could happen. That being said, look at the map at the top of the page as it indicates the number of breweries per million people. If the trend continues, than you can expect many more breweries, especially in the southeast and southwest. 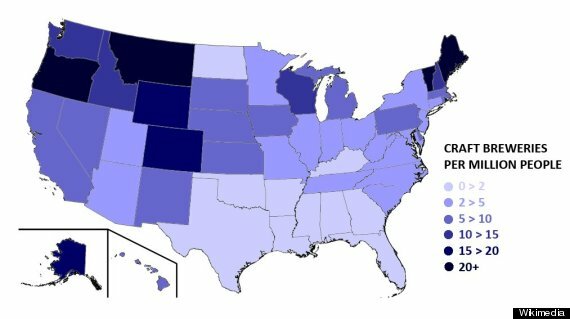 You can see the states under indexed verses Oregon. I have included the top 10 bestselling beers in the world. Again, it is interesting to note the number of Chinese beers on the list. This year, at the bottom of the page, I have included all of the top selling beers of each country who has qualified for this year’s World Cup. You will find it somewhat interesting, just click on it and take a look. This industry lends itself to no shortage of topics on which to blog, however, feel free to comment on various industry issues that you find important. I welcome the challenge. Finally, I wish to thank you all for your comments and support. I have truly enjoyed reading your opinions and comments. Until next week, Happy Anniversary, year number two! As a young District Sales Manager for Lone Star Brewing Co. my territory was west Texas. While I had a number of distributors in this area, it really was all about low volume and a lot of windshield time. Lone Star’s volume was concentrated in Austin and then moved southward. Although the territory was west Texas, I did have one distributor in Oklahoma located in the Lawton/Altus market. Typically this would be a very small market as far as any potential; however, since the Vietnam War was at its peak, the distributor’s territory included Ft. Sill. Sill was the army’s artillery base and was full of soldiers, thus making nice incremental volume. On my first visit to the Oklahoma distributor, who was a multi-brand Miller house, the staff was very open and cordial. Since Lone Star’s management at that time was ex-Schlitz trained, our paperwork was similar to Schlitz’s. We were required to complete a market visit report including a physical p-o-s and beer inventory. I found the operation had only 20 cases of Lone Star on the floor, and when I asked for orders, I was told the operation had none in the system. I immediately asked the sales manager why they had no orders and was told that the company was discontinuing Lone Star altogether. Obviously, this caught me by surprise. I was informed the operation would sell the existing inventory. I called the brewery and spoke to the sales manager who did not seem to be upset, but suggested I contact any other distributor in the market to find another home. 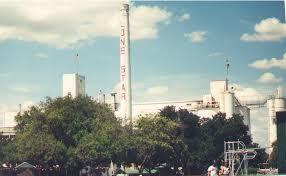 From 1959 to 1973, Lone Star operated what was once the old Progress Brewing Co. in Oklahoma City. During the early 60s, Lone Star had good volume and a decent investment spends for Oklahoma. My visit coincided with the brewery closure. I immediately contacted the other two wholesalers, Coors and Schlitz who both agreed to meetings. By this time, Coors had over a 70 share of market so their warehouse was new and big. I was shown into the President’s office where I noticed a small trophy with a Lone Start can sitting on his credenza. The President arrived and I updated him on what had happened and asked if he had any interest in distributing Lone Star. He smiled, turned to the trophy, and commented that it was obvious I did not know his history with the brand. As it turned out, he had been the Lone Star distributor for years, but as Coors continued to grow, Lone Star decided that they were not getting the focus they felt they needed. Lone Star terminated him and moved to Miller. I confirmed I did not know the history, apologized, and thanked him for his time. I went to the Schlitz house, located in an old railroad terminal with wooden floors, which also had Stag, a good selling regional. Schlitz, a decent seller and about nine years from imploding, and Stag made for a good house, and while the wholesaler was open, he declined. After all the years of investment by Lone Star in Oklahoma and this market, Lone Star was no longer available and all was lost. I stopped prediciting the future a long time ago. In the early 1970s, Miller Brewing Co. chose Austin as one of the test markets for Miller Lite. Those of us that were selling beer at the time could not figure out why the consumer would buy a beer that had less alcohol and was priced 10 cents (yes, that’s right) higher than regular beer. Every one of us predicted that Lite would not be a success. So much for that prediction! Recently at Beer Insights Conference in Chicago, some predictions were made on a number of issues facing the beer industry. While many of these are trending to be true, there are some that might have unknown ramifications. Either way, they are currently relevant to all in the industry and need to be addressed. A number of speakers addressed the future of mega brands. All agreed that going forward there are not going to be any mega brands. Perhaps the industry should look at spirits and wine; there is a mega brand or leader in every category. There will be a leading IPA, as with an amber ale, wheat beer, porter, etc. There may never be a brand as large as Budweiser or Corona, but there will be mega brands and they will be highly sought after. If, as predicted, distributors become more beverage-centric and concentrate on spirits, wine and non alcs, then the question becomes, how does franchise protection relate to that model? On one hand, you have beer protected by state franchise laws with perhaps some type of carve out provisions, yet all non-beer products are under contractual arrangements. Does this situation cause less focus and/or investment by the distributor in legacy brewers and megabrands? The Millennial generation, ages 16 to 34, consist of 79 million individuals and out-number the Boomers who currently weigh in at 76 million. The under LDA is roughly 15% of the Millennials, meaning a lot more people are going to be of legal drinking age in the future.. Then the question should be, will the industry really lose 14 million bbls.? Another topic discussed dealt with carve out provisions. Just how fair are these provisions to larger suppliers? An underlying point to this topic is that distributors believe that without such provisions, crafts would be successful. Conversely, the same is true. What would distributors do without the craft brewers today? And if they continue to grow as predicted, how will their future look? The value of any brand that has been terminated is usually established by emotions. Similarly, the acquiring distributor who somehow fell into getting the brand, likewise, determines its value. A final thought, if franchise reform actually becomes reality, will the value of a distributor decline by up to 30%? A business that is cash only (no A/R), exclusive territory, supported brands through all forms of media and p-o-s, backed by brewery sales teams, great margins and ROI, has little to no downside. To this point, is there anyone out there that would not jump at the opportunity to own a beer distributorship if only they had a contractual relationship with suppliers with no franchise protection? The future in beer might best be served with all parties understanding that their relationships are only business and not partnerships. This statement goes to the heart of what is driving most of the issues today. The success of Miller Lite was the reason why I stopped predicting the future a long time ago.